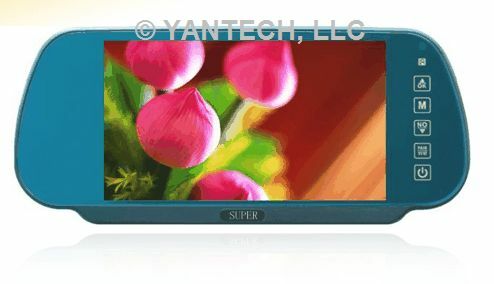 One (1) NEW Rear View Mirror 6.8" Diagonal Viewing Surface COLOR Monitor. All the necessary cable hookups for easy installation and right out-of-the-box use. NOTE: REAR VIEW CAMERAS SOLD SEPARATELY. BUT WE HAVE A WIDE SELECTION TO SUIT YOUR NEEDS. PLEASE VISIT OUR PRODUCT CATEGORY REAR VIEW BACKUP CAMERAS.